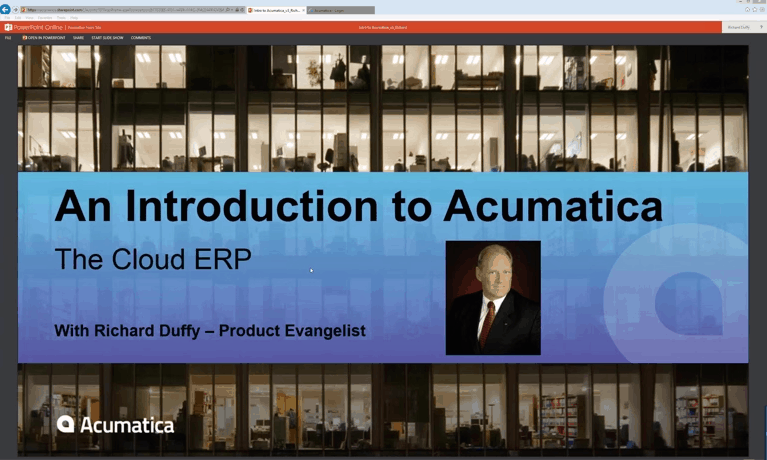 Join us as we provide an overview of Acumatica Cloud ERP and explain how it can help your organization drive revenue, raise productivity and lower cost. This webinar is presented by Acumatica Vice President of Partner Strategy and Enablement, Richard Duffy. Click below to register and watch the on-demand webinar.